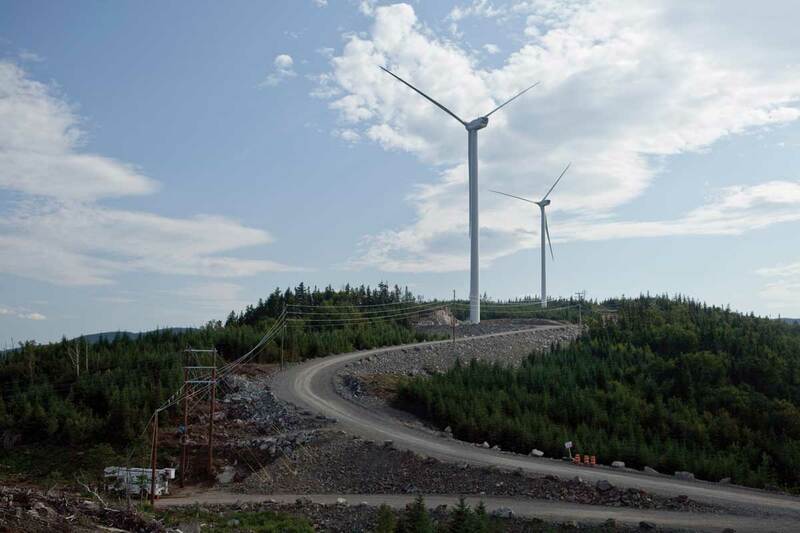 Forty-four wind turbines on the boundary of mountains of Maine with roads and foundations. Foundations for these towers require MD&B to install 616 rock anchors. 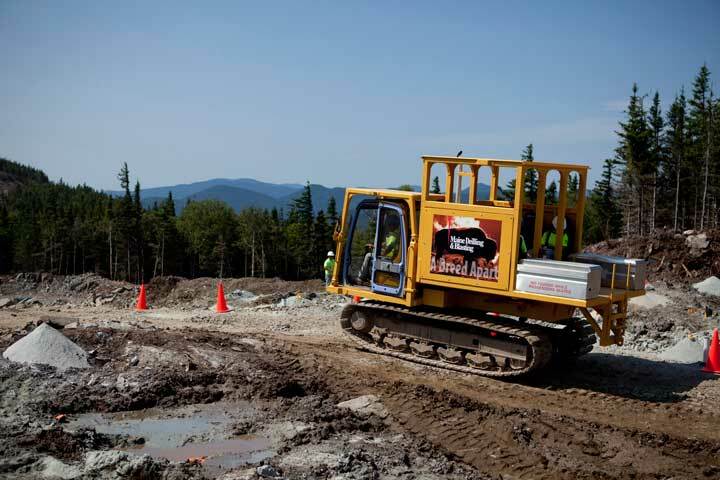 Road construction for crane access requires recycling the terrain features to build a road that meets equipment parameters to haul materials on or off the mountain top. 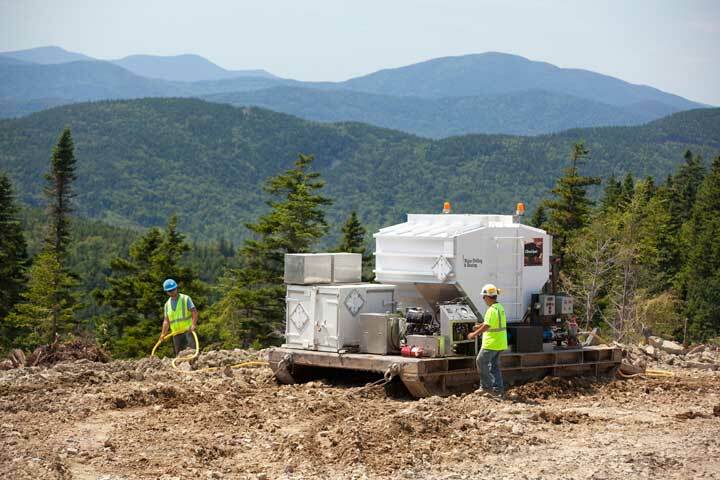 Between weather and rugged terrain, it takes extraordinary efforts to achieve the schedule to meet green power deadlines. The team met the challenge by creating both the material needed and the grades required. Rock anchors for the foundations were designed with a larger diameter anchor than previously utilized. Testing these anchors to 679,000 lbs has proven the bond passes all PTI specifications. This clearing of rock for access has been accomplished with a winter shutdown of only three months. 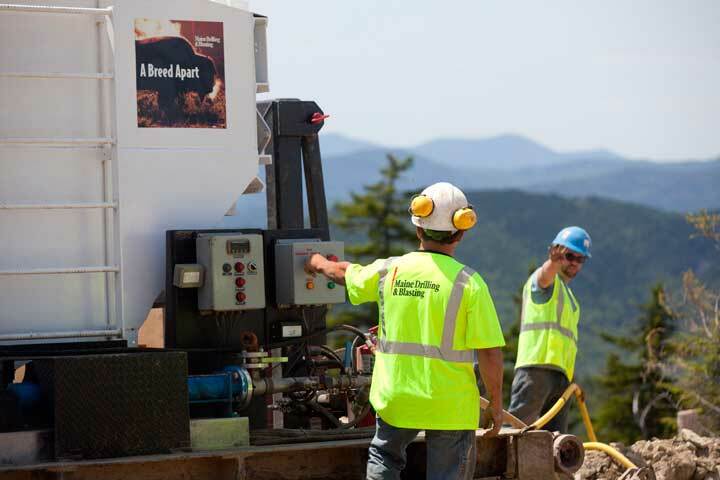 The project's success gave Maine people more jobs on future projects, as well as more green power. 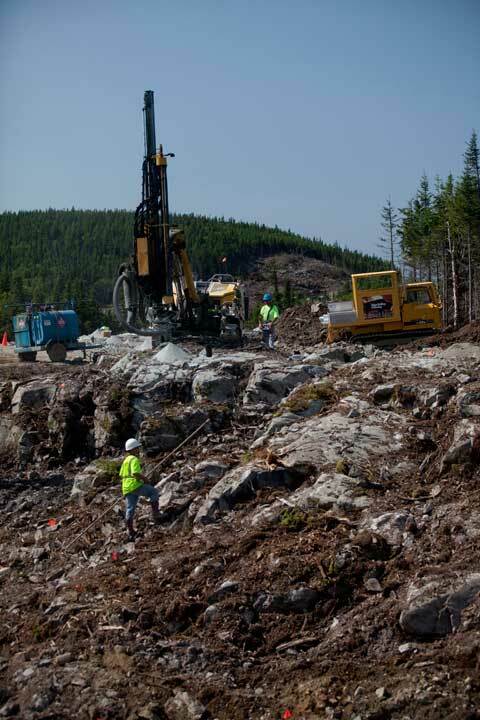 Timothy Schneider - Consigli Construction Co. Inc.
Maine Drilling & Blasting successfully met the project's schedule requirements and delivered the contract product with a great level of safety and quality. MDB was easy to work with and was able to execute their work on a very tight site in close coordination with multiple trades. Portions of this work were completed in shorter durations than initially anticipated allowing the interruption of the site to be limited. Testing was executed as promised and on schedule with results immediately provided. The overall project performance is considered excellent and best in class."